BLOOMINGTON, Ind. (AP) — More than nine years ago, Indiana University professor Dennis Conway had prepared a class to visit the “rich, old island” of Cuba. The U.S. government, holding to its embargo of the country, made it impossible to follow through. 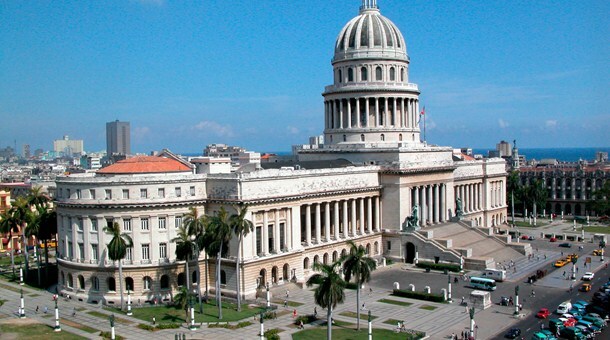 Any stay would have to last at least 10 weeks, officials said; anything shorter, not a “legitimate” educational exchange, would be an unwanted boost to the Cuban national economy. After President George W. Bush’s tightening of regulations on travel to Cuba, the easing of those restrictions under President Barack Obama has allowed IU to plan a trip to Santa Clara as part of the itinerary — if enough students sign up for the class with the Office of Overseas Study. The deadline, Marshalek told The Herald-Times (http://bit.ly/1eprmYX ), is supposed to be Monday, but he could ask for an extension. After all, after almost a decade of waiting for the first Bloomington-based course to travel to Cuba, Marshalek is hoping the exotic locale will be attractive to students. “It’s a Cold War relic, this animosity,” Marshalek said. IU has organized trips to Cuba through Indiana University-Purdue University Indianapolis since the early 2000s, with professor Tim Brothers at the helm, but those trips were halted once Bush added restrictions, according to Kathleen Sideli, associate vice president for overseas study. Brothers restarted his trips to Cuba with geography students in 2011, Sideli said. Marshalek’s class would have added meaning because of Bloomington’s connection with Santa Clara, which Bloomington has regarded as a “sister city” since 1999. Marshalek and others have been able to visit as individuals, but not with a class. His syllabus for the course plans for three weeks in Bloomington, learning about the country’s period of colonialism, Che Guevara and more, before heading to Santa Clara and eventually Havana. Conway sees this as a step in the right direction. He reflects on the embargo between the two countries and what it meant for him when he tried to buy a box of Cuba’s famous cigars. Restrictions by the U.S. didn’t do much to limit the availability of his favorite brand. He could find the same Cuban cigar he enjoyed at the duty free shop in an airport in Barbados in America; there, the cigar’s yellow package said it was from Cuba. Once, Conway said, he found what he imagines is the same cigar, still yellow, but the packaging said it was from Canada. America’s neighbor to the north doesn’t have the same restrictions on trade.